Club sports are a great way to continue to develop your athletic abilities. Students can compete at a higher level than intramural sports. However, club sports are not as demanding as the stress and time-consuming commitment that goes with varsity sports. In summary, club sports are the perfect balance. Personally, I play on the Club Golf Team and it has been nothing but a great experience. As a First Year I joined the team during the fall tryouts. Immediately the older members of the team made all of us feel very welcome. Becoming a part of a group that shared common interests and passions as me was most important as I was just beginning to get my grips on the University and I now had a support group behind me. Last semester, the team practiced every Friday at Birdwood Golf Course, when conditions allowed. Once a week is not too demanding and is very manageable with any schedule, certainly one of the great things about club sports. Throughout the season there were two tournaments where the team traveled to compete with other colleges in the region. The team did extraordinarily well and qualified for the national competition where they placed third overall. 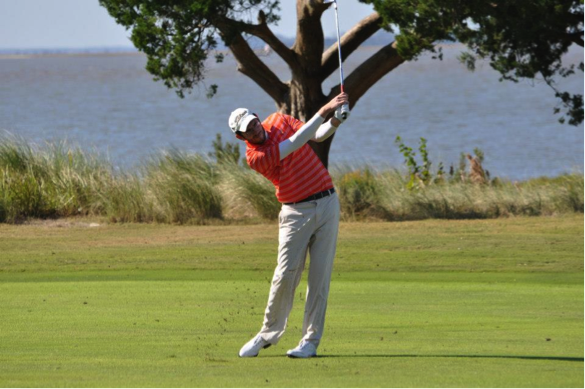 In general, I would say that club sports, like Club Golf, are perfect for anyone who wants to compete with other colleges but not at the intense levels of varsity. Many students come to college with a clear-cut picture of what they are going to major in. I thought that I was one of those students. 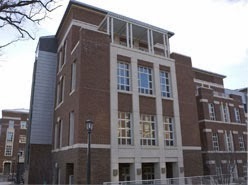 I had really enjoyed AP Physics in high school and I thought that I would be a Physics major at UVA and pursue a physics or medical career afterward. After a few science classes my first semester, I realized that the sciences were no longer my passion. A major is an integral part of your college career. It determines what classes you will take, what your daily life will focus on, and what your future career will be. Realizing that the sciences were not for me, I had to find a new major. How was I going to find my niche? Would Art History, Economics, or Anthropology be my passion? 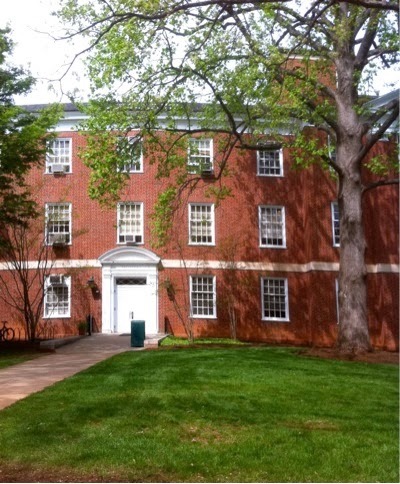 UVA has a very wide breadth of classes and departments. For every interest, there is a course. Finding a new major seemed daunting at first. I searched Lou’s List for new and interesting classes. 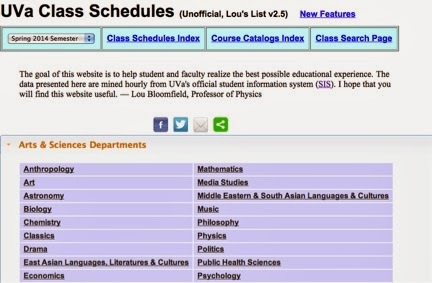 For those of you unfamiliar with Lou’s List, it is a website created by Professor Bloomfield of the Physics department which hosts previous and current class offerings. I also asked my first year RA and other upperclassmen for course recommendations. There is also a number of resources available to students who are uncertain of their majors or careers, including University Career Services. I ended up taking a number of interesting courses and eventually I found my passion and majors. I am now a double major in Foreign Affairs and Linguistics. Majoring in Foreign Affairs means that I spend the bulk of my time in Nau Hall. The major in Linguistics is interdisciplinary, which means my classes are spread out all over Grounds. These majors are both heavily reading and essay-based, a far cry different from the lab reports and equations of Physics. Foreign Affairs appealed to me because of its focus on how states interact and, more importantly, why events occur the way they do. A major in Linguistics was a great fit for me because of my love of language. Being undecided actually proved to be one of the greatest experiences of my college career. I took diverse classes that I never would have taken if I had maintained the same major plan as the one I came to college with. 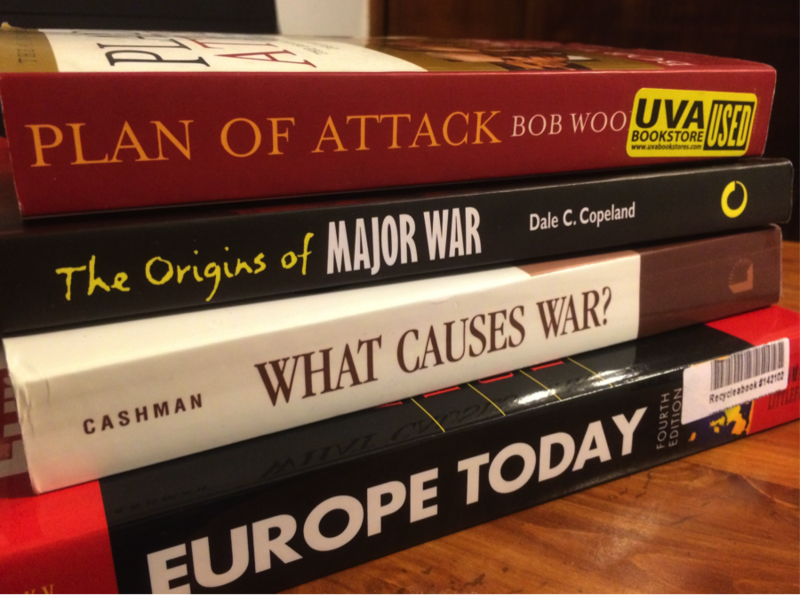 Because of my undecided status, I was able to have a wide background basis of knowledge for future classes. For example, when my Foreign Affairs course was discussing Psychology as it applies to international relations, I had the knowledge from a Psychology course to bring to the table. Initially being undecided actually turned out to be an asset in the long run. I became privy to the knowledge of Philosophy, Art, Economics and Anthropology, among other subjects. In my opinion, the point of college is to broaden your mind on the whole and to discover who and what you want be. Taking a variety of courses not only gave me the benefit of a wide range of knowledge, but it also allowed me to find my true calling. I was able to push my boundaries and expand my own horizons. Moreover, UVA students have until the end of their second year to declare their first major, so there is no rush! Don’t be afraid to take a course in something you know nothing about; you may just find your niche. So if you come to UVA with nothing more than a notebook and a thirst for knowledge, don’t fret. You, too, will find your way.